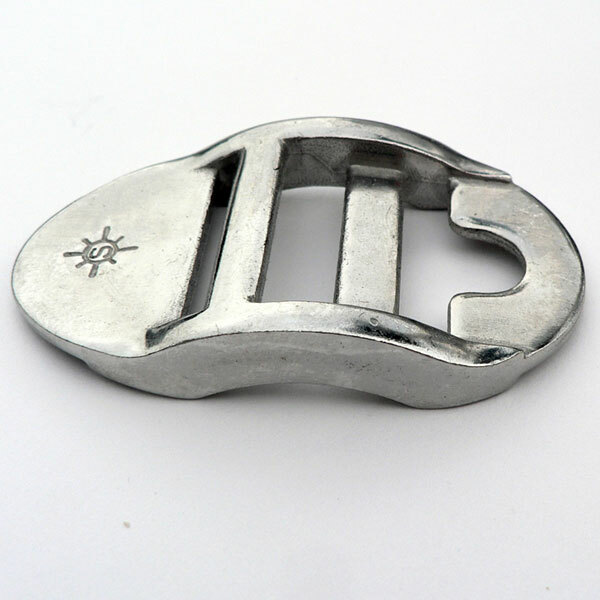 Web Star Adjuster - 1"
The web star adjuster can be used in a similar manner to the plastic webbing adjusters you have encountered on gear straps. One major difference here is that this part can handle a static load of 1000 lbs. and won’t become brittle in extreme cold or from prolonged exposure to sunlight. In addition to functioning as a conventional adjuster, the non-adjusting end has a rounded hole in it. 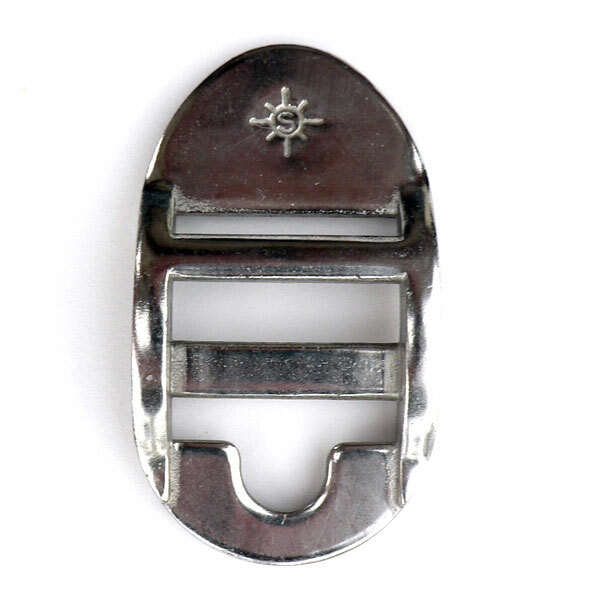 This hole will accept a hook or clip such as the Swivel Strap Clip (S0221-0025). The combination of the Web Star Adjuster and the Swivel Web Clip, one on each end of a piece of 1" webbing makes a great synching belt for securing gear, boxes, batteries and tanks. It also makes a handsome belt for pants. 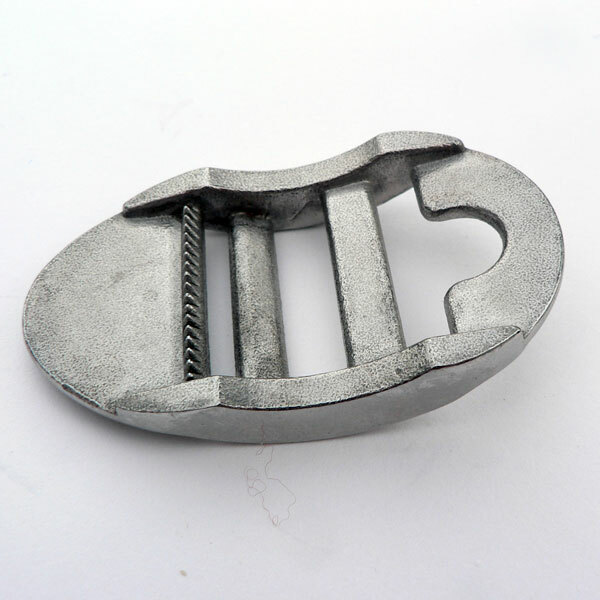 This same assembly can be mounted to a wall or ceiling with the Footman's Loop (S0224-0025) and provide a very useful strap hanger for organizing and securing all type of items such as hoses, cords, gardening tools and what have you. Note: highest quality adjuster features teeth on back to securely hold webbing. Round recess will accept swivel web clip.